Playford won a shoot for the first time since 2012 when they beat Shiplaunch, having lost more recently to Occold. The game was a stalemate at 90 minutes, Nick Bingham scoring twice for Playford. 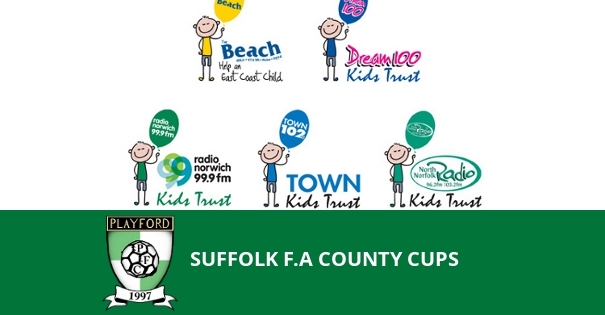 With no extra time in the Suffolk Sunday Shield the game when straight to spot-kicks. Ash King who had scored his penalties in the last two shoot-outs went first for Playford, but unfortunately he fired his penalty over the bar. Ellis Rowland and Craig Hazelwood converted their penalties before Jack Shelcott had his saved. Luke Mallett scored Playford�s fifth and the tie moved into sudden death. Max Juster scored his penalty then saved the opposing goalkeepers attempt, leaving Nick Bingham the job of winning the tie for Playford. Watch the video of all the Playford kicks. The second round draw will be made on Tuesday 18th.